No two aircraft are alike, and while every carrier can showcase this fact by slapping a registration number on the aircraft and recording the airplane’s manufacturing number, some take it a tad bit further. 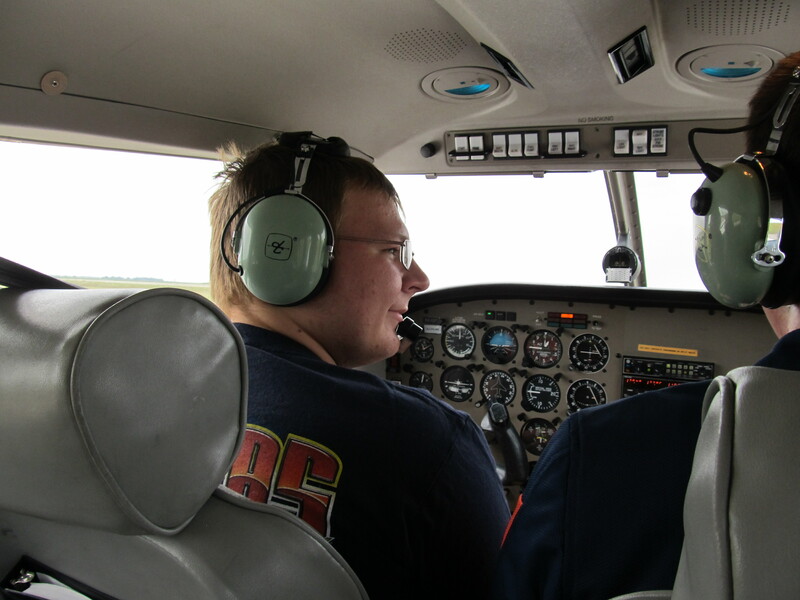 In this series we will look into the airlines that take individualizing each airplane to the next level. Individual aircraft and special liveries like British Airways’ “London 2012 Doves” and TUI Airlines Netherlands’ “#dreamcatcher” jet will not be counted since they are one-off aircraft. From animals to World Heritage Sites, this is how aircraft earn their names. Being part of the Iberian peninsula and a part of European history, TAP Air Portugal follows the idea of other carriers like Aeroflot and Norwegian and names their aircraft after famous Portuguese people. 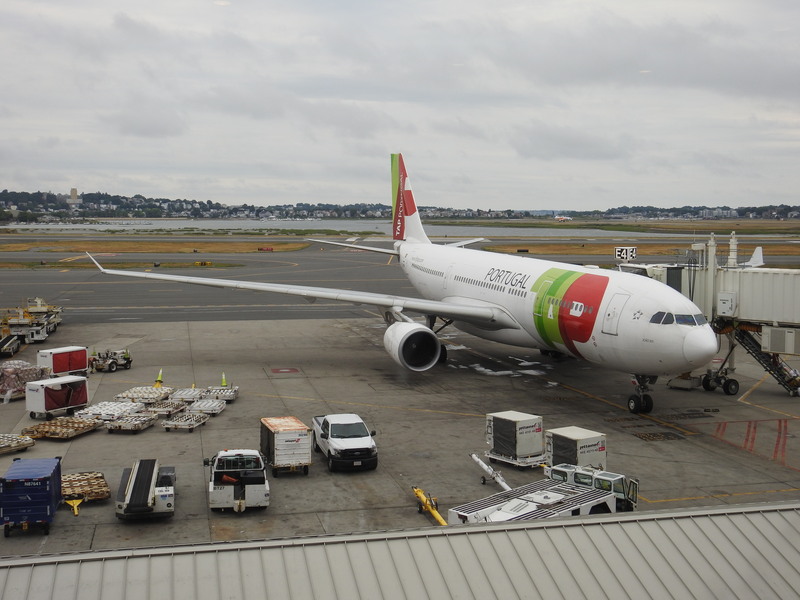 Of the fleet of Airbus A320 family, A330, and A340 aircraft, the A330s bear the most commonly known names of the Portuguese population with history makers such as João XXI, João Vaz Corte-Real, and Vasco da Gama on the A330s of CS-TON, CS-TOS, and CS-TON. Prior to the current fleet, the TAP Air Portugal fleet was not all named after Portuguese historical figures, the now retired fleet of Boeing 737s were named after the regions of Portugal, with areas like Madeira and Setúbal being added to aircraft. 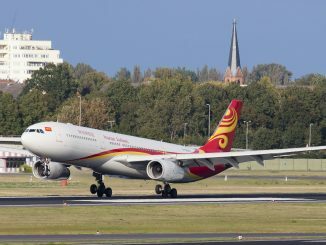 As for the historical figures, the series was previously on the Airbus A310 fleet before names were transferred to the A330s and added on with the arrival of the Airbus A320 family of aircraft. In the past, TAP’s regional carrier Portugalia named their fleet of ERJ-145s and Fokker 100s after birds, with names like Chapim, Gavião, and Condor. 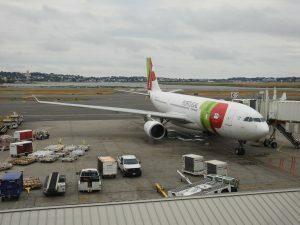 Upon rebranding Portugalia into TAP Express and the arrival of newer airplanes, the naming of the regional jets was dropped. Names of TAP Air Portugal aircraft are found under the cockpit and are written in Portuguese on both sides. As well as sharing the Iberian Peninsula, Iberia also shares the way they name their aircraft with TAP Air Portugal. 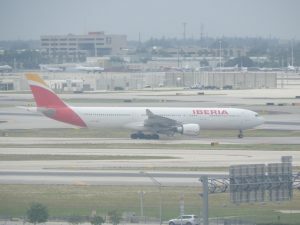 Iberia’s fleet of Airbus aircraft are named after famous Spaniards such as Juan Carlos I, Julio Romero de Torres, and Salvador Dalí. However, the airline takes it a step farther than TAP, also naming their aircraft after destinations, countries, animals, and Spanish cities and areas. Aircraft size does matter in what the airplane is named, Airbus A320 family aircraft are named after Spanish areas, cities, and animals, the A330s are named after international destinations and cities of which most are in South America and the A340s are named after famous Spanish people. However, there are some exceptions to this, with aircraft such as EC-LFS (Airbus A340-600) being named Ciudad de Mexico. Prior to the all Airbus fleet that Iberia currently operates, the airline’s fleet of McDonnell-Douglas and Boeing aircraft followed similar rules to that of today’s fleet. 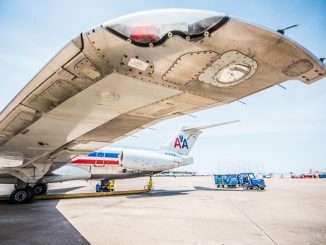 Famous Spaniards had previously been on Douglas DC-8s, international cities were on Boeing 757s and 767s and Spanish cities and areas were on McDonnell-Douglas MD-80s and Douglas DC-9s. Regional aircraft have never had names for Iberia. 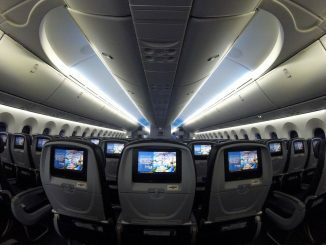 Furthermore, the main carrier’s low-cost arm Iberia Express also lack names, leaving main Iberia aircraft to bear names. Iberia aircraft in both old and new livery have their names written under the cockpit in Spanish on both sides. 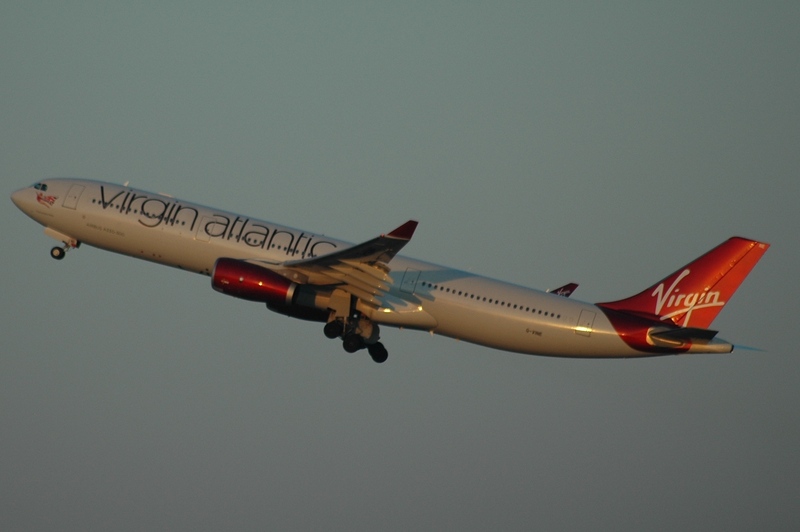 When it comes to generically naming aircraft nobody does it like Virgin Group, as previously mentioned Virgin Atlantic’s sister company Virgin America name aircraft as a joke or as a play on words. The older English long haul carrier names their aircraft after women. 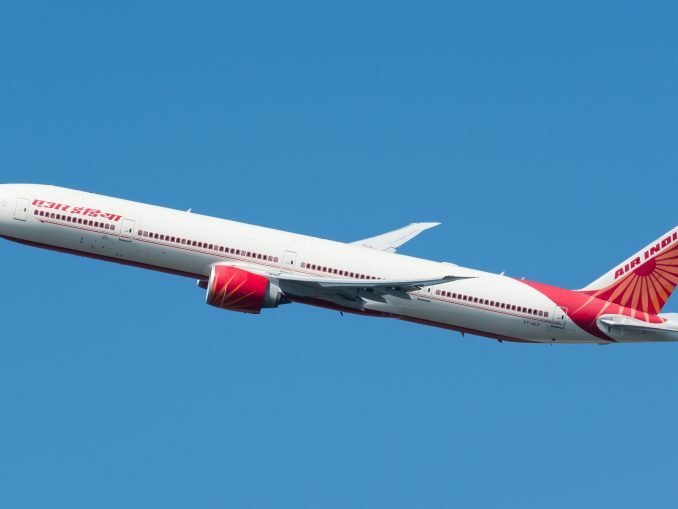 Aircraft like Champagne Belle and Ruby Tuesday fly around the world on the Airbus A330, A340, Boeing 747, and 787 aircraft. Some aircraft are specifically named, like Queen of the Skies (A340-600) being named for Queen Elizabeth II and Emmeline Heaney (A340-600) whose name was offered on auction to the highest bidder, which was won by the Heaney family and named after the family’s daughter, Emmeline. 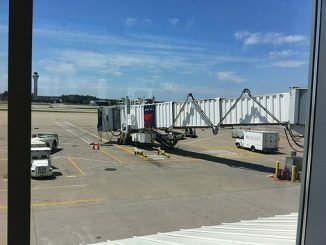 The other uniqueness is “Scarlet Lady,” a World War II themed woman as flown in a consistent red outfit with the Union Jack on most aircraft, however there are some exceptions to the rule. 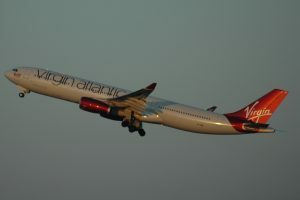 Aircraft that have a variation on Virgin’s cover model include Golden Girl (G-VGBR – A330-300) who has the “Scarlet Lady” wear gold, Birthday Girl (G-VNEW – B787-9 Dreamliner) where the woman is standing instead of flying and the most popular and recently retired Lady Penelope (G-VFAB – 747-400) who was moved from the nose of the 747 to the rear in 2005 to have her cape become the Virgin logo to celebrate Virgin Atlantic’s 21st anniversary. Virgin Atlantic aircraft names do not transfer aircraft, allowing the carrier to create new names when a new airframe enters the fleet. 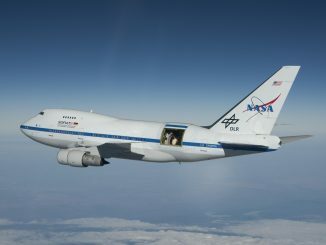 Aircraft names are found around the “Scarlet Lady,” either appearing under or behind the cockpit windows or under the forward row of windows on Boeing 747 aircraft. Like many other airlines we have covered in this series, Turkish Airlines follows the themes of Cargolux and Lufthansa and names their airframes after the cities and provinces that make up the Republic of Turkey. 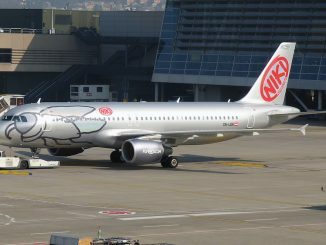 A majority of the aircraft wear names, however, there are a few leased aircraft that wear full liveries yet go unnamed. 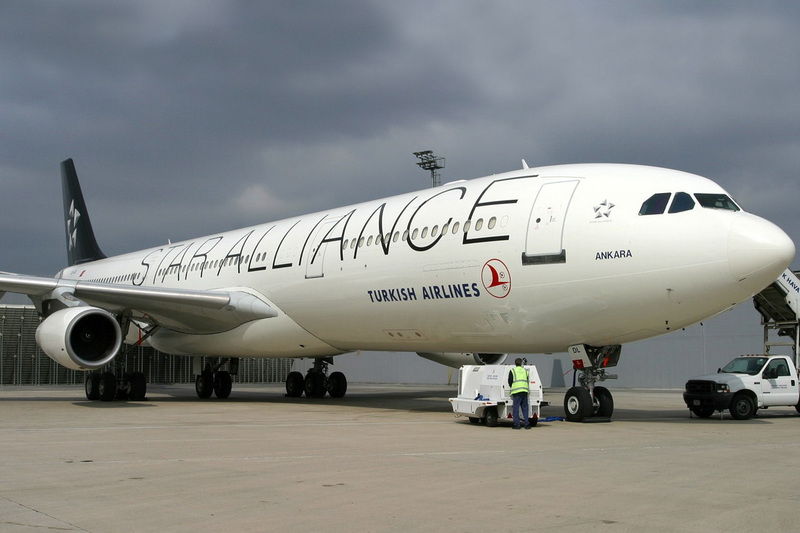 While most aircraft are named after smaller cities, larger and more well known cities are on larger jets with the Boeing 777-300 aircraft bearing names like İstanbul, Anadolu, and Ankara. 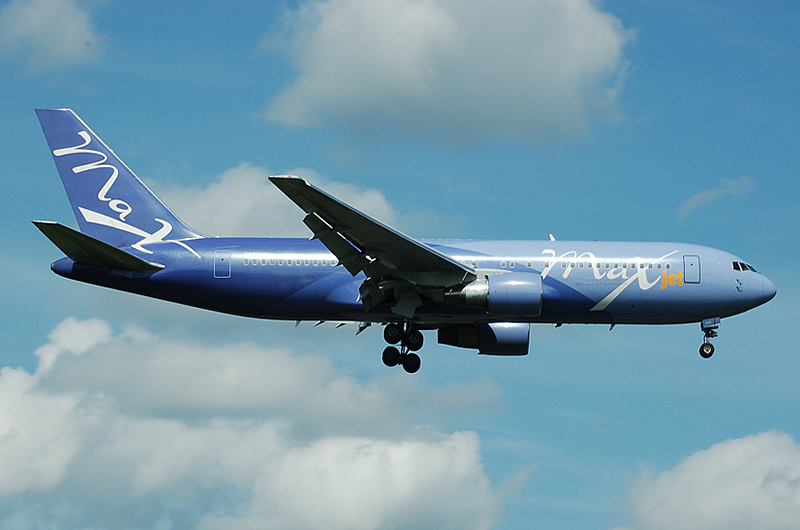 Many of these names also appeared on the airline’s Douglas DC-10s in the 1980s. The naming of aircraft goes past the main fleet as well with Turkish Cargo’s A330F aircraft named after Turkish cities similar to its fellow A330s in the mainline fleet. The A330Fs are named after cities like Gediz, Murathan, Trakya, and Kervan. The airline also owns fellow Turkish carrier AnadoluJet, who follows the naming of aircraft with their fleet of Boeing 737-800s being named after the provinces of Turkey with aircraft like Iğdır and Hatay flying over Europe, Africa, and Asia. Aircraft names appear under the cockpit windows for both Turkish and AnadoluJet aircraft. While naming aircraft after people is a common trait, Aer Lingus varies it from most other airlines. 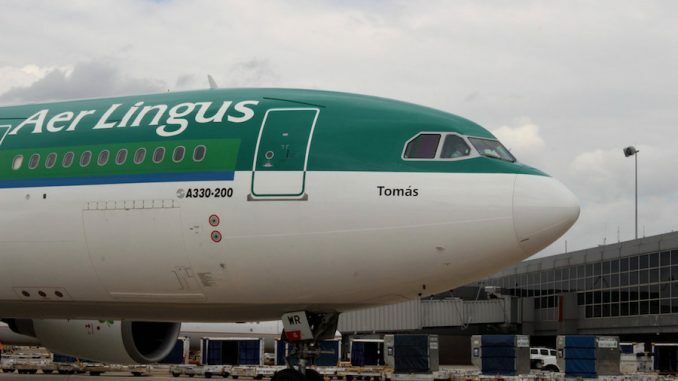 Most other airlines name their aircraft after famous people from the country but Aer Lingus focuses on naming their aircraft after the Catholic saints. Ireland has had a history of being associated with the Catholic Church, so when the national carrier wanted to name aircraft, saints were their first choice. Names range from commonalities such as Saint Sebastian and St. Andrew to Saint Malachy and Saint Ibar (all Airbus A320s). 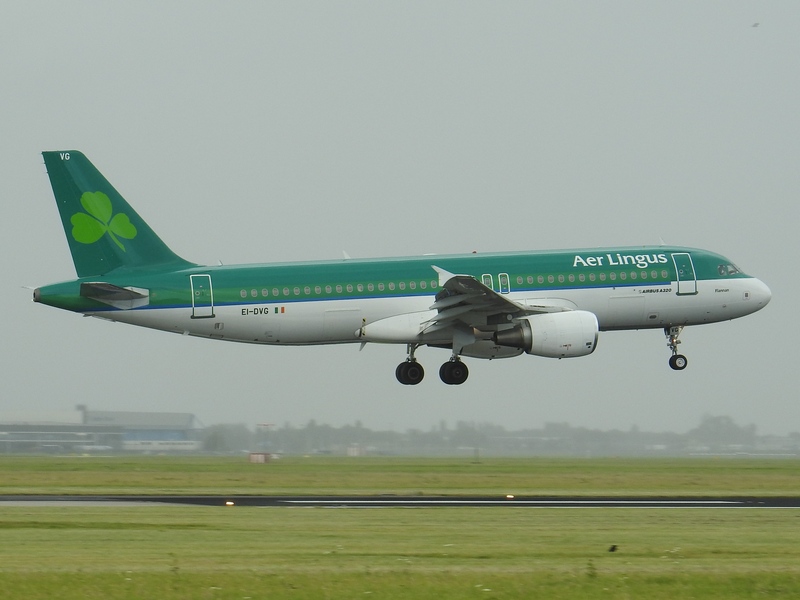 Most of the saints in Aer Lingus’s fleet are mostly named after Irish saints, but non-Irish saints also exist in the fleet of Airbus A320 family, A330, and Boeing 757 aircraft. Aer Lingus, which was formed in 1936, started naming aircraft after the conclusion of World War II to help promote national pride. 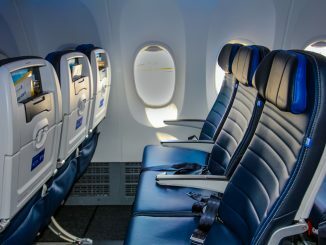 Aircraft names have been recycled from airplane to airplane with names like Saint Lawrence O’Toole appearing on both Boeing 737-300s in the late 1980s and on a Airbus A330 that was delivered to Aer Lingus in 2016. 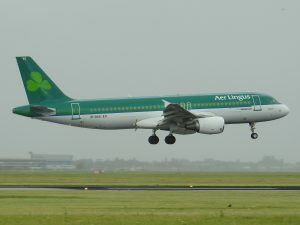 Aer Lingus’ short-haul arm Aer Lingus Regional also names their aircraft after the saints, with some names that had appeared on mainline Aer Lingus transferring to the regional branch. Aer Lingus plans to continue the saints theme when the Airbus A350 arrives in 2018. While the list can go on, we would like to finish the European part by listing some other airlines that you will find with named airplanes. Croatia Airlines, much like Lufthansa and Turkish, names their aircraft after areas in their home country with their fleet of Airbus and De Havilland aircraft bearing names like Zagreb and Istra. Lufthansa owned Swiss also follows the naming of aircraft after the locations of Switzerland with names ranging from Cantons to municipalities. Swiss will continue the tradition on the Bombardier CS100 aircraft, who have already received names like Kanton Zürich and Canton de Genève. Vueling Airlines tries to put the word Vueling in all their titles, leading to aircraft names ranging from Vueling in Love to Luke SkyVueling on their all Airbus A320 family fleet. Finally, England’s Jet2 name their aircraft after either their destination cities or regional areas alongside the airline name resulting in titles such as Jet2 Crete and Jet2 Paris. Next time we move outside of Europe and move into Africa before eventually ending up in Asia and Oceania.